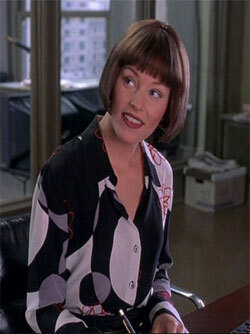 Comic Book Hottie Roles: Betty Brant of the Spider-Man Movies. What's Her Story: A natural talent, Elizabeth's striking presence and undeniable energy are quickly earning her a reputation as one of the most promising young actresses in Hollywood. Banks most recently appeared in Seabiscuit, and Catch Me If You Can. Banks appeared in two other major motion pictures in 2002: she co-starred with Madonna, Jeanne Tripplehorn and Bruce Greenwood in Guy Ritchie’s Swept Away, the story of a group of socialites whose boating trip goes awry; she also appeared as Betty Brant (a role director Sam Raimi created for her) in the box office hit Spider-Man. Originally hailing from Massachusetts, Banks received her Bachelor’s degree from the University of Pennsylvania and her graduate degree at the American Conservatory Theater. Banks currently resides in Los Angeles.